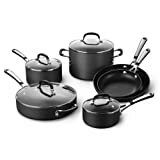 Simply Calphalon Nonstick 10 Piece Cookware Set. A great set of pots and pans are the backbone to any kitchen. Calphalon is the brand that I have used for years and have always loved them. They are durable, easy clean and come with a different assortment of shapes and sizes for just about any dish you are wanting to prepare. 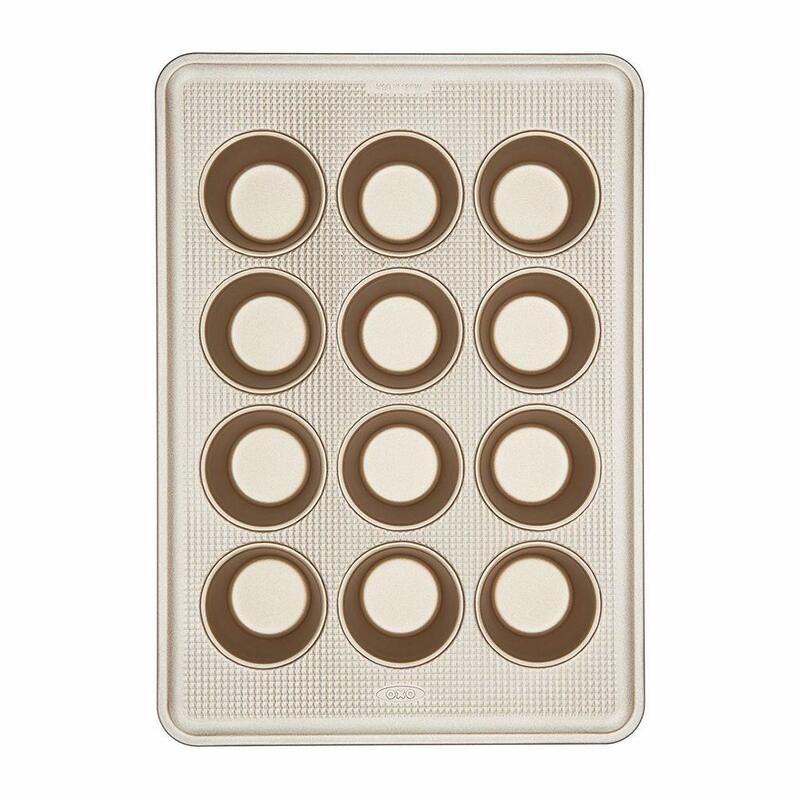 Oxo Good Grips Non-stick Pro Muffin Pan. A good nonstick muffin pan is always a good thing to have around. Typically they are used for baking, but one of my favorite uses for mine is to make egg “muffins” for my breakfast. Put in some eggs, butter, protein, veggies and cheese and pop them in the oven and you’re done. The best part is you can either refrigerate or freeze them once cooked and the become a quick easy option to pop in the microwave on those busy mornings. A cast iron skillet is something I had never used until a little later on in life but has now become a household favorite. I always know when I am cooking something in my cast iron skillet it is going to come out hearty and comforting. Although this one comes pre-seasoned, it is always my personal preference to go ahead and season it myself once I get it. As long as you take care of your cast iron skillet it should last you decades and will become one of your favorite pieces of cookware. OXO 1066421 Good Grips Mixing Bowl Set With Black Handles. 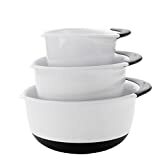 This 3-piece set of mixing bowls should be all you need to help prepare your next delicious keto recipe. The come with a grip around the edge for extra grip as well as non-slip bottoms which will help to stabilize the bowls while you are using them. The spout allows for the perfect pour every time and all the bowls are dishwasher safe and BPA free. 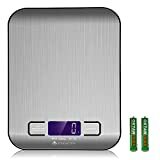 Etekcity Digital Kitchen Scale Multifunction Food Scale. A quality food scale can be a very important part to the success of any diet when it comes to tracking your nutritional macros. The ability to accurately measure what you are putting into your body leaves no doubt as to what to expect when seeking changes to your body as well as allows you to better track how your body reacts to different type of nutritional changes and experimentation. 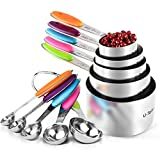 U-Taste 10 Piece Measuring Cups and Spoons Set. A must have for every kitchen. I am not a fan of plastic measuring cups and definitely prefer a stainless-steel set. These can be used for everything from powders or spices to nut butters to oils and so much more. These are 100% rust-resistant and come with silicone handles to help avoid any accidental spills.